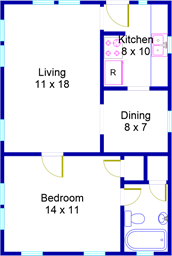 The Sunday House is a complete apartment with a separate outside entrance. Upstairs from the Original Carriage House at the rear of our property it is our most private accommodation. Light and airy with lots of windows in each room, it has treetop and garden views. 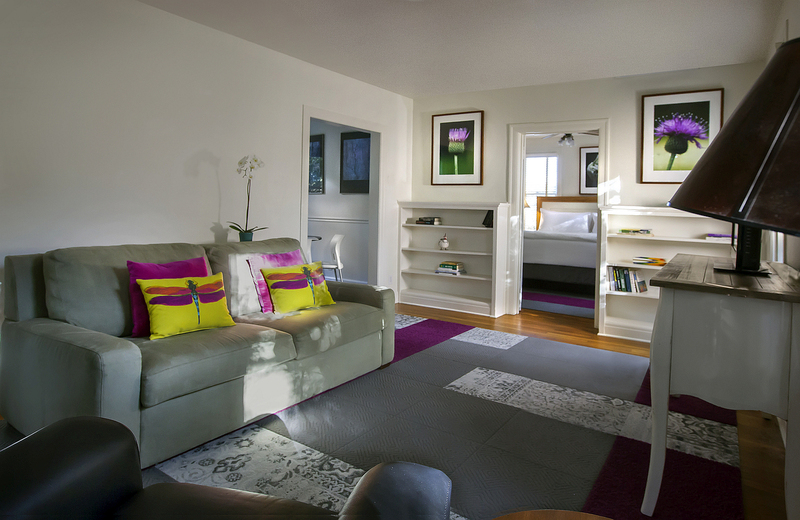 With a King bed and a separate Living Room with a Queen sleeper sofa, The Sunday House is great for couples or small families. 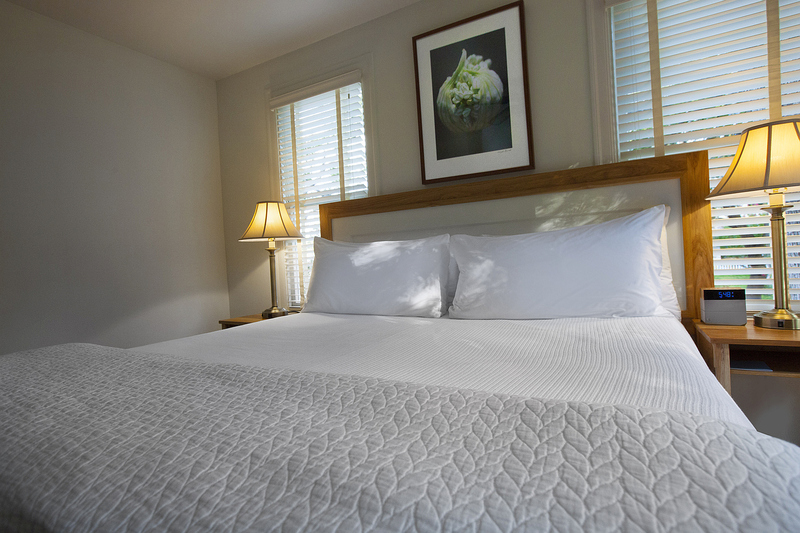 The bed features a fabulously comfortable organic mattress, soft 3 inch mattress topper, SmartSilk pillows & comforter, and silky Sferra cotton sheets. The bathroom has the cutest little clawfoot tub you have ever seen, Dear Clark shampoo & conditioner, custom Fairview body wash and soft turkish towels. The Sunday House was rented through VRBO and HomeAway during the previous 7 years. Just a short walk from South Congress and many downtown Austin venues, this quiet and peaceful retreat was always in demand. 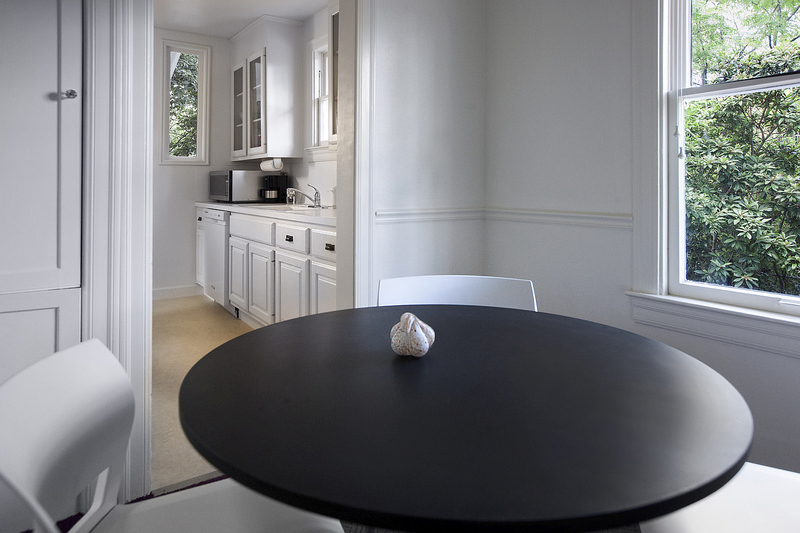 Now, completely remodeled and updated, it is sure to be one of our most popular rooms. A full 1 bedroom apartment with living and dining rooms separate from the bedroom plus a fully equipped full size kitchen.